IGS is a professional kit, based on commercial designs and built in Holland by horticultural engineers. The full kit includes everything needed to get growing. 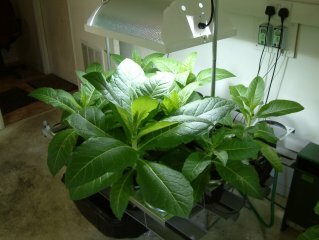 It is a perfect system for the smaller hobby greenhouse. IGS technology is already in use in many hectares of Dutch greenhouses and has been fine-tuned by professional growers there. Each kit covers one square meter and kits connect easily together to cover any growing area. IGS can be used with potting soil such as All-Mix and it can be used with loose coco. Perhaps the best medium however is the compressed, super coarse coco found in the famous Crop Circles. These are ideal because each circle is exactly the right volume for an IGS Pot. Basically you just set up the kit and start the drippers going. Then you place a Crop Circle into each pot and leave the drippers going all night. The Crop Circles will expand to fill the pot and IGS will be ready for planting in the morning. IGS is supplied with full instructions for assembly and operation.